Welcome to Mani Monday #26, or technically, my Mani Monday #1 – having a job which saw me typing on a keyboard for nine hours a day, five days a week, meant my nails were rarely in a good enough condition to participate in our weekly feature. But, one redundancy later (more on that bombshell to come), my claws are finally in shape and have had a little glitzy makeover which I thought I’d share. 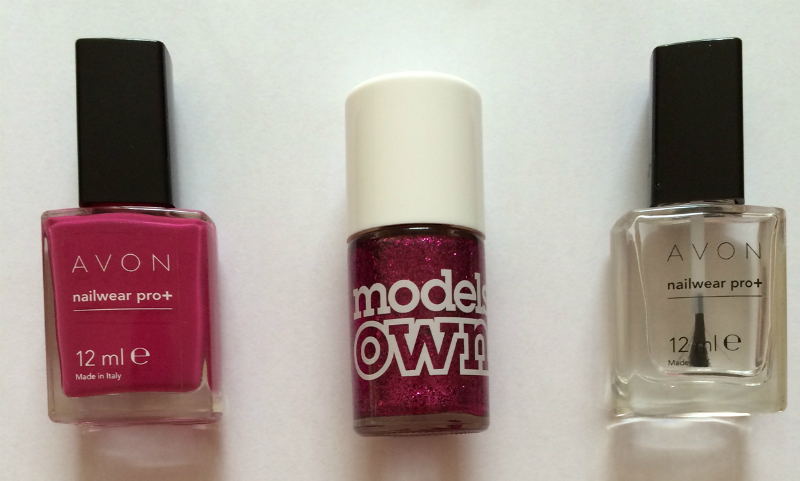 Now, I am not a nail art expert – in fact, although I own enough nail varnishes to put Models Own out of business, I rarely do anything too fussy or fancy. 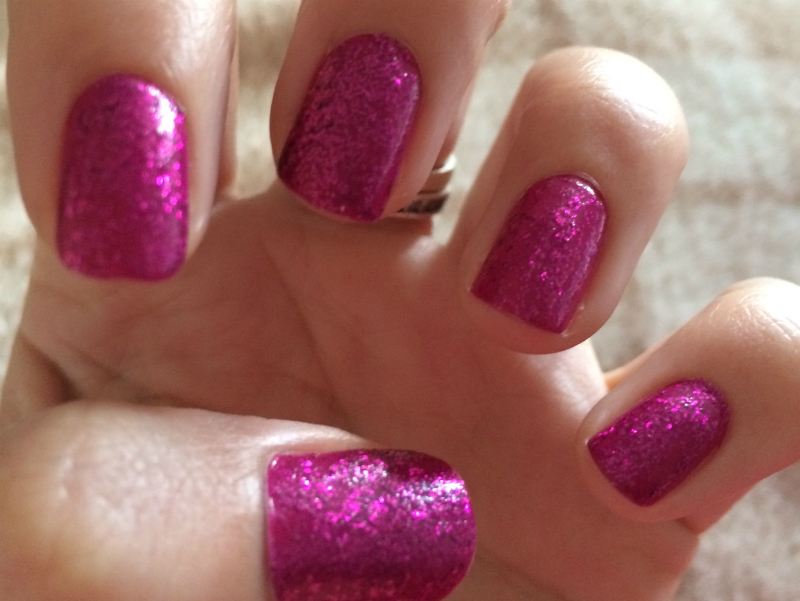 This mani took about ten minutes and consisted of three varnishes – Avon Nailwear Pro+ in shade P605 (not the catchiest of names), Models Own Magenta Divine and Avon Nailwear Pro+ in Clear. Starting with the P605, which is a bright, punchy fuchsia as its snappy name suggests, I painted two coats (with drying time in between, obvs) before adding a thin layer of the Models Own glitter. The clear varnish was then used to seal the deal, and et voila – a very simple, very glitzy mani. Not bad for a first go, ay? A close friend of mine walked down the aisle last week and tied the knot with her long-term boyfriend. After a week of hunting down the right dress for the occasion, I needed nails to match. Honestly, finding the right dress is a blog in itself; I didn’t want to wear black or white, but something pretty enough for an evening do, so I went for a yellow dress with a cream pattern and a peter pan collar. Now all I needed was a matching manicure taking full inspiration from my outfit. The yellow nail paint is quite thin and requires a lot of layers, so the trick is to use a white base coat. I still had to do two layers of the yellow for even coverage, but the white base coat helped show off the colour and lighten it up at the same time. 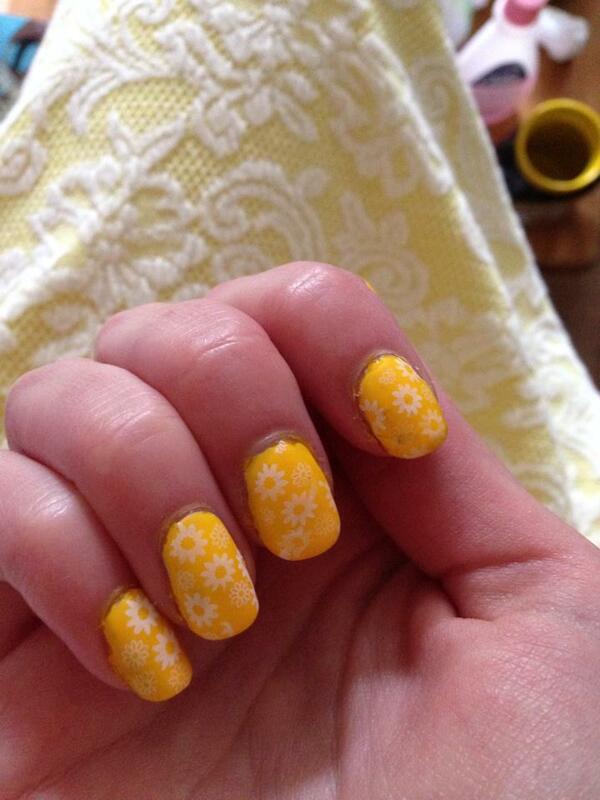 For my nails to really pop, I used a nail stamp to add a lovely flower design. The design is actually only four flowers so I had to repeat the stamp on each nail about three times. To finish, I used my favourite matt top coat. I was really please with the way my nails looked. 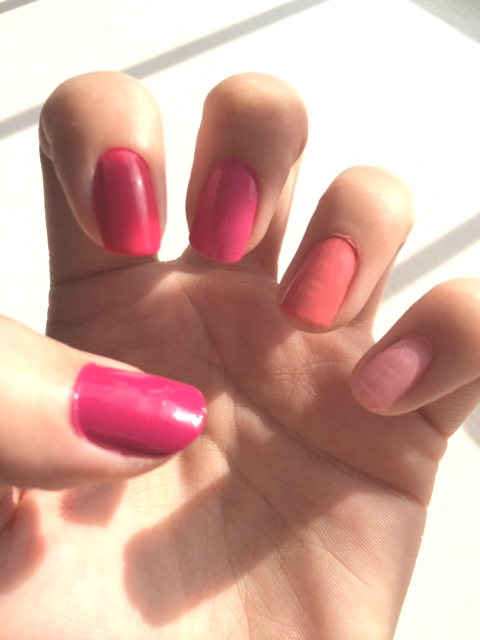 At the beginning of the year there was a big push for textured nail polish – everything from matte nails to sugar coated. Naturally, my interest was piqued but particularly by feather effect polish. The first feather effect polish I saw was Nails Inc On The Money Feather Effect polish – which made me think of Van Gogh’s Starry Night – what else could make my nails look like that? Unfortunately, I never did buy it. However, a few weeks ago I walked into my local Boots and came across Sally Hansen’s Fuzzy Coat. I couldn’t leave without it. What do I think now? I should have brought Nails Inc.
Firstly, it’s like a glitter polish when applying… It takes some time and thinking to have an even distribution. Secondly, it sort of melts the base coat, which means it takes time to dry. If you smudge it you can’t save it. You can see from the pics why you need to let it dry completely. In saying all this, I do love the texture and it’s a great style to use either to highlight one nail, or you can do all nails for a bold look (I recommend 2-3 coats). I don’t see Van Gogh though, and that’s really where my disappointment stems from. Have you had much luck with this polish, or can you suggest a better one?